DiDi is a taxi-hailing app. And the most commonly-used elements in such mobile apps are maps. 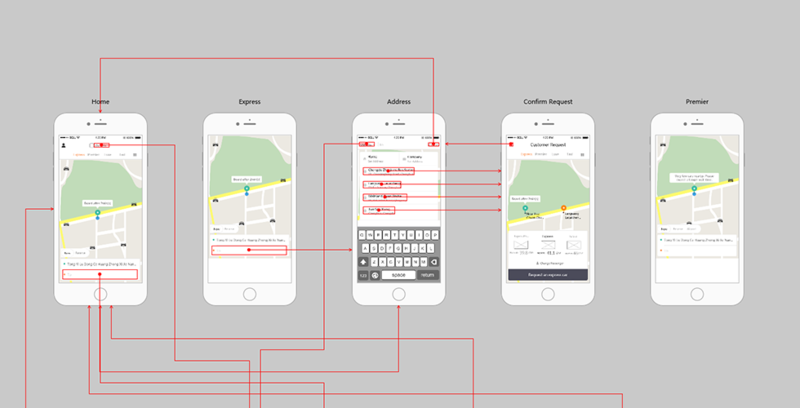 In Mockplus, you can straightly drag static “Street Map” components to add maps for your app prototypes and also search and select different circle icons to build new location icons for your app maps. Moreover, Mockplus also offers a variety of vehicle icons in its powerful icon library and enables you to directly use them with simple drag-and-drop. Main pages of this prototype: Home, Address, City, My Trips, Settings and My Wallet, etc. App pages of the album ( 11 pics in total) can be downloaded from here.